iPhone Won’t Unlock Even with Correct Passcode? Fix Now! It can indeed be frustrating when you are locked out of your iPhone, especially in cases of unresponsive screens. The situation gets even more exasperating when your phone screen has a crack that makes some- or most- part of the screen not responding to touch, or you have a broken screen. In such situations, unlocking your device is practically impossible, as you can’t even tap in the passcode to unlock your iPhone. In this article, we will focus on unlocking iPhone without touch screen. Part 1. How to Unlock iPhone without Touch Screen? How to Unlock iPhone without Touch Screen? In the event that you are currently having this issue with your iPhone and you are wondering how to scale through, then we have got some good news for you! 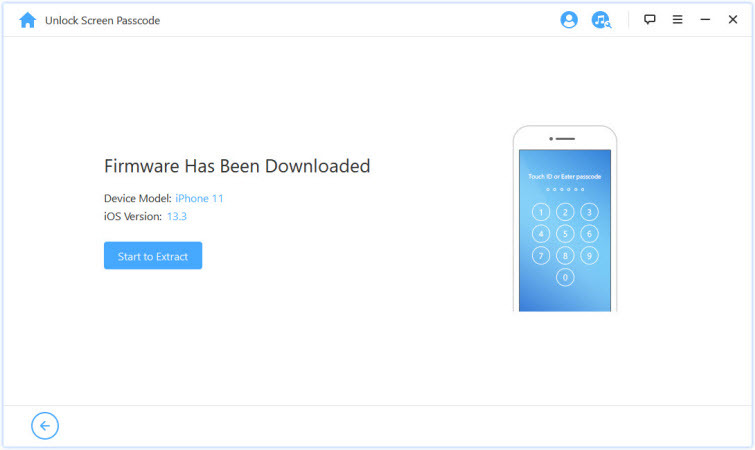 Let’s introduce you to iMyFone LockWiper, the perfect software for unlocking iPhone without touch screen. 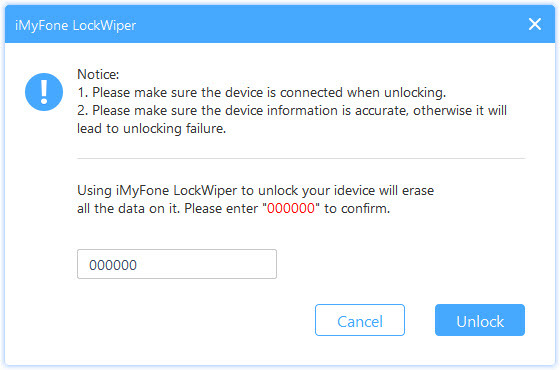 iMyFone LockWiper is specially designed with amazing features that help to unlock iDevice screens, even those with very critical conditions of cracked or broken screens. 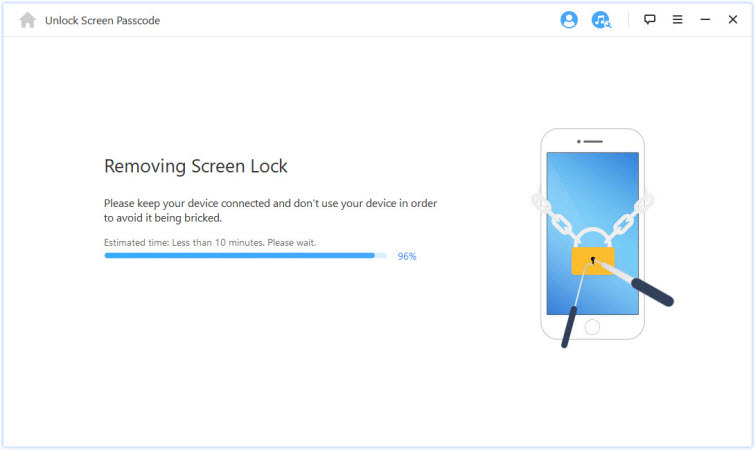 It comes in very easy steps that unlock your device in a matter of few minutes, and you do not even need to be a tech freak or a geek to use it. 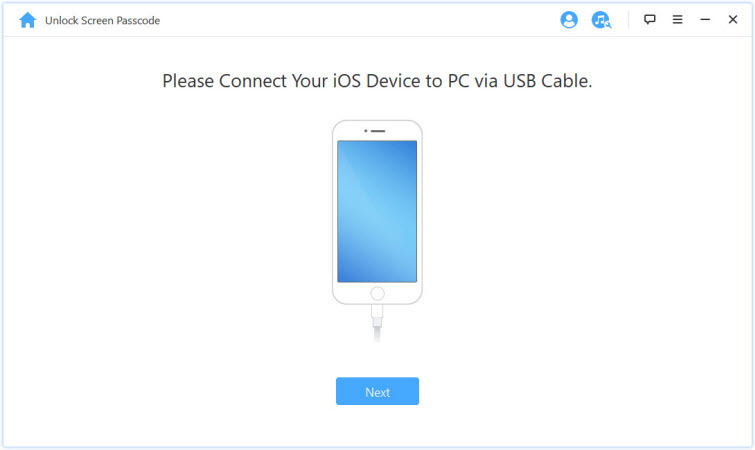 iMyFone LockWiper can also help you remove Apple ID/iCloud account from your device even when you don't know the password of it. So you can enjoy all the iOS services and features. Gain access into your iDevice even when the touch screen isn’t responsive. Unlock all types of iPhone/iPad/iPod passcode- 4/6-digit, Face ID and Touch ID. Remove iDevice screen lock without using a passcode. Supports disabled, locked, and broken screen iDevices (iPhone/ iPod Touch/ iPad/) version. Remove Apple ID/iCloud account without password in just minutes. Connect your device to the program and click "Next". 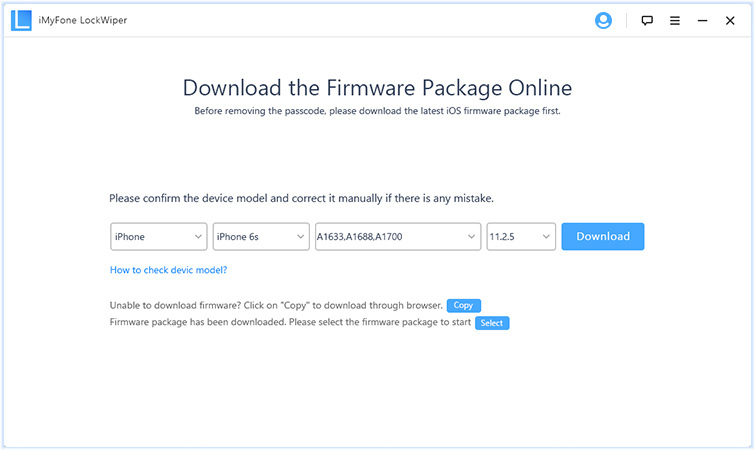 Check to confirm that your device model was auto-detected by the program, if not, change it manually. Click on download. If it doesn’t download, click on Copy to download through browser, and click Select to add it. After the download and verification, click "Start to Extract". Select Start Unlock to commence the unlocking process. Read the Notice carefully, and enter 000000 to confirm. Select Unlock to proceed. In a few minutes, your device will be unlocked. When you notice your phone isn’t responding to touch, the first thing you might need to do is to clean the device screen and your fingers too (or whatever input accessory or device you use). In the case where you use a phone case or screen guard/protector with your phone, you might need to remove those too. 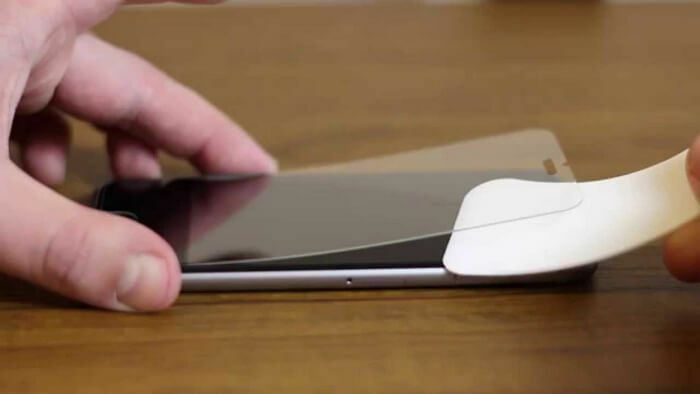 Usually, you might just need to wipe the screen with a soft cotton cloth to remove most kind of interference on the display touch screen, but in few situations, you can use a slightly damp cloth to wipe the screen free. For your fingers, stylus or any other appendages, just ensure they are clean and dry. 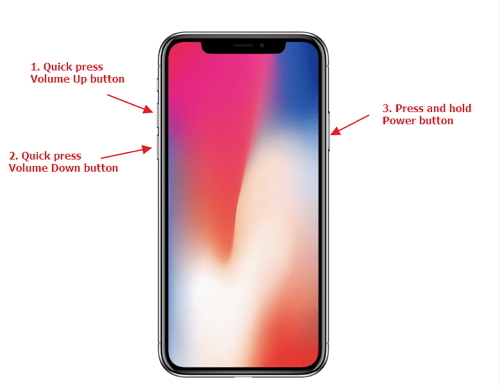 Normally, simply restarting the iDevice should fix the screen unresponsiveness, however, a hard reboot, though forceful, might be much easier and more effective. When the iPhone boots back on after the hard reboot, the touch screen should work fine. To force restart iPhone 7: Press and hold the Volume Down button with the Power button until the Apple logo appears on the screen. To force restart iPhone 6s and older: Press and hold the Home button and Power button until you see the Apple logo display on the screen. It is possible that the unresponsive screen issue only occurs when on a particular app, i.e. the screen freezes when this specific app is opened and doesn’t respond to any screen input at all, except maybe only exiting and going back to the Home Screen when the Home button is pressed. In such a situation, the problem is most likely that specific app, and not the iPhone screen. If this is the case, you will have to update this app. Go to the App Store and check if updates are available for the app, and install the update. If after updating this app, the touch screen still doesn’t work fine, then you can delete the app, reinstall and relaunch it. If the screen still doesn’t work as expected, then it is possible that the app has a bug issue that needs addressing, i.e. if the screen works perfectly in every other app but this particular one, then the app is the problem and not your iPhone screen. Insufficient/low storage space on iOS devices can make devices malfunction, and this can include making the screen unresponsive to touch, and generally underperform. You need to check to ensure your iPhone has a considerable amount of storage space by going to Settings >> General >> Storage & Usage >> Manage Storage. Make sure to have at least some hundreds of Megabytes available, if not a few Gigabytes. 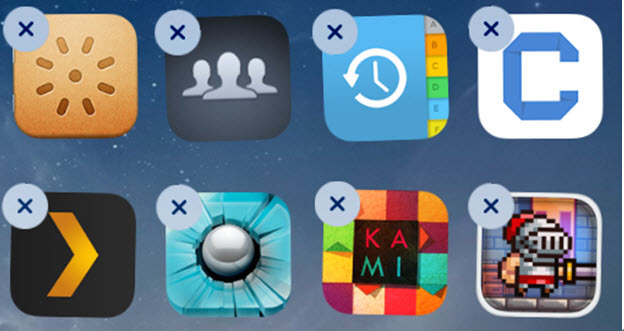 To get some space, you can delete old, unused apps and games, clear your device cache files, cookies, temp and junk files, large videos, pictures and music files, etc. 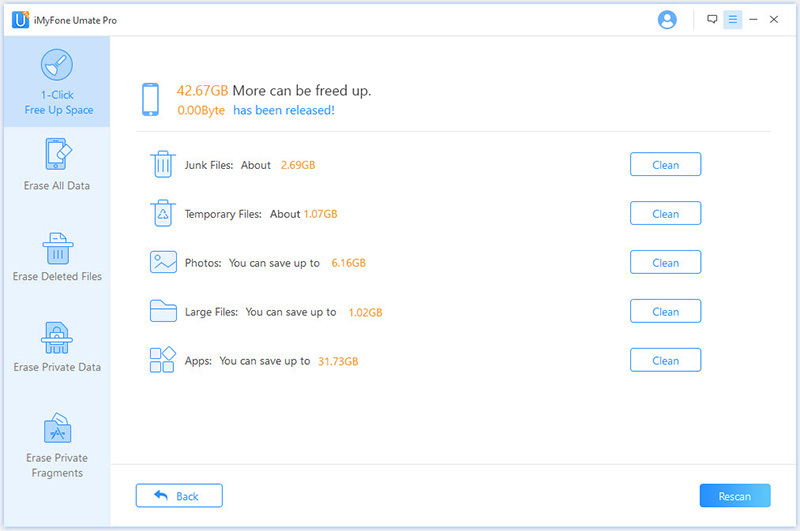 You can clear a large amount of space using iMyFone Umate Pro, the ultimate data eraser that provides amazing features that help you clear out space on your device in a matter of a few minutes. After clearing up some space, reboot your iPhone, then your screen should work again.